Abe Stein began making goofy noises when he was very young, creating detailed action sequences and death defying car chases on the kitchen floor with his G.I. Joes and Matchbox cars. Having since been enlightened to the capabilities of recording technology, Abe can still be found in front of a microphone trying to replicate the sound of a 1986 IROC-Z engine with his mouth. Abe graduated from Haverford College with a Bachelor's degree in Religion, and studied audio engineering and sound design at the Center for Digital Imaging Arts of Boston University. A one-time high school English and History teacher, his sound design, music and mix work can be heard on a variety of educational videos, long and short form documentary films, various promotional shorts, and on the Cartoon Network's Adult Swim animated series Assy McGee. Abe comes to the GAMBIT having most recently worked as a sound designer for Blue Fang Games, makers of the Zoo Tycoon franchise. As Audio Director at GAMBIT, Abe is looking forward to exploring new ways to improve the efficacy of sound in games to help create compelling, evocative and meaningful experiences. Specialties: Vroom, Clang, Zip, Click, Pop, and Boom. Hello. 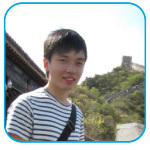 I am a 3rd Year Computer Engineering Major at Nanyang Technological University. I have been playing video games for as long as I can remember and therefore making video games only seemed natural. I can't wait to intern at GAMBIT and explore the game development process. In my free time I love travelling, working out and watching soccer. 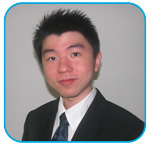 Andre Ng is an undergraduate from Singapore Management University majoring in Information Systems. He was first introduced to computer games through his uncle at Kindergarten, with his first games being Pacman and Pong on Windows 3.1. His interest in computer games grew quickly with him spending much time exploring different game genres after school. 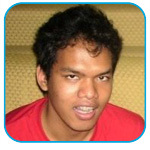 Andre has always been fascinated with how computer hardware and software works - an interest cultivated from the desire to have more fun by tweaking his computer hardware and games. This passion eventually led him to pursue an IS undergraduate degree at SMU. Hello. I'm an undergraduate student from the MIT class of 2014. I'm planning to major in computer science. I've been working at GAMBIT as a game designer since the beginning of last term (February), and am passionate about anything and everything game related.I'm a sucker from most Command and Conquer games, and most things by Valve. I'm interested in game design enough to perhaps minor in it, but I'm still exploring other areas in case I find something else. I am from Venezuela, but I've been living in the U.S. long enough for me to say I'm from Florida. A hobby of mine since very early in my life has been playing video games, and I've been raised around both console and PC gaming most of my live. I'm also somewhat invested in some other things I've dabbled in, including AutoDesk Maya animation work, TV production and special effects, robotics, and computer hardware. Thanks to two wonderfully dedicated game-playing grandmothers, Andrew Grant started playing games before he could hold the cards. From there, he went on to explore board games, strategy games, role-playing games, and computer games. This exploration shows no signs of slowing down. Andrew graduated from MIT in 1993 with Bachelor's degrees in both Computer Science and Mathematics (6 and 18, darnit) and a minor in Creative Writing. After 6 months in the real world, he discovered that someone would actually pay him to design and program computer games, so he returned to his gamer roots by joining Looking Glass Technologies, and then DreamWorks Interactive. Since then, Andrew has survived 10 years as a programmer-for-hire and independent developer in projects ranging from underwater robotics to yet more games. Now, Andrew is the Technical Director for GAMBIT, applying his rather eclectic skillset to the wide array of technologies used in the lab. 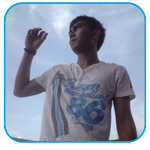 My name is Anjar Puji Wicaksono (long name, huh), or you can call me Anjar (english spelling: un-jar) I am studying in Singapore and came from Indonesia. My hobby is animation, photography, PLAYING GAMES, and recently: cooking.I like to travel a lot and meet people from different background. I hope we can work together well as a team and build everlasting network. 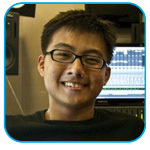 A 3rd year student at Republic Polytechnic pursuing a Diploma in Sonic Arts, Ashwin is an enthusiastic sound designer who enjoys being faced with new challenges. A drummer for almost all his life, this flexible friendly fun-loving individual loves incorporating percussive sounds into his work. Ashwin is also a huge fan of working and playing hard. I'm just a guy with plenty head space which I fill with with paradoxical questions, indie music, Aronofsky and David Lynch films, and the color blue. The rest of the space I rent out to the miniature old people in Mulholland Drive. I get myself lost in open-ended games like Minecraft (and often in real life). One time I got ran over by a taxi and my bicycle became slightly skewed. I've a website at http://BenjaminCrackers.tumblr.com. 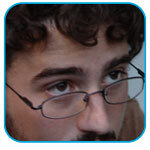 Benjamin is an animator who specializes in the creation of moving pictures of all sorts. 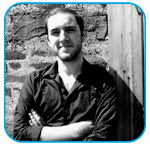 While he enjoys feature animations and games, he loves the freedom and creativity that only the indie scene provides. When not teaching himself cool new 3D computer programs and coding, he spends his free time playing video games of every conceivable genre as research, running and swimming with his dogs, singing while playing his bass guitar and spending long hours in the bathtub musing about the vastness of the universe. After being raised by a cold, unfeeling Playstation console, Bianca (2011) chose to protect the world of imagination and dedicate her life to video game design. 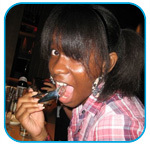 In her spare time, Bianca can be found playing her shiny, new Nintendo DSi, eating, or sleeping in various locations on campus. Bianca is also a fan of loud colors. 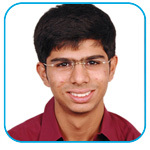 Biju Joseph Jacob is an undergraduate student from Nanyang Technological University pursuing a B.Eng. degree in Computer Science and minor degrees in Business Studies and Entrepreneurship. He has previously completed an internship with J. P. Morgan Chase and Co Singapore and is currently on the management team in a start-up partnership company Qwer-T Designs. 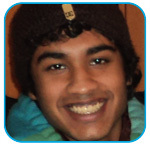 Through the summer program with GAMBIT, Biju looks forward to improving his programming skills and his game-development skills in particular. 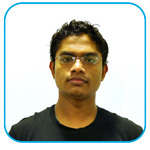 Apart from being extremely passionate about programming, Biju enjoys watching sports like cricket, listening to Hindi music and solving brain-teaser puzzles! 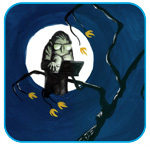 Bree hails from Los Angeles, California, and is a recent graduate in Illustration at the Rhode Island School of Design. She loves tea, cooking and getting involved in community service. 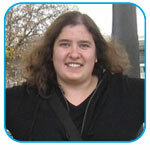 She is passionate about social impact games, and her main interest is on the issue of gender representation in games. It is likely that at some point in the summer, she will bring a batch of her Peanut Butter Chocolate Chip Cookies, a recipe of which she is quite proud. 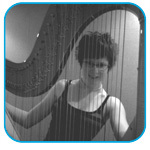 Casey Merhige is from Buffalo, New York where she started her musical endeavors by studying harp under the Buffalo Philharmonic Orchestra's principal harpist, Suzanne Thomas. She has been writing and arranging music since she began adapting tracks she heard in video games to the harp around the age of 10. After graduating from Buffalo Academy of the Sacred Heart and coming to Berklee College of Music on scholarship through Berklee's World Tour, she truly developed her musical ear as a composer, arranger, and sound designer. Now a recent graduate of the college, she is prepared and eager to expand and further develop her skills in the professional realm of game audio. Hi. 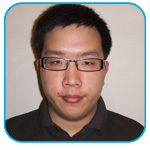 I am currently a student from Temasek Polytechnic pursuing a diploma in Games & Entertainment Technology. After having played countless video games at a young age, I became interested in game development and wanted to create my own games. I enjoy mind-boggling and complex programming subjects but hates getting distracted while busy wrapping my head around said programming subjects. When not wired in to my computer, I usually hang out with friends and family members. 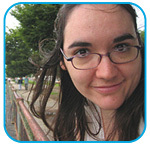 Clara Fernández-Vara is a Research Associate at the Singapore-MIT GAMBIT Game Lab. 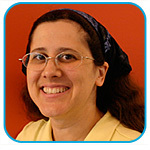 Her research concentrates on the development of videogame theory, focusing on adventure games and the design of players' experience with the aid of storytelling. She is particularly interested in cross-media artifacts from the standpoint of textual analysis and performance. Clara holds a BA in English Studies by the Universidad Autónoma de Madrid (2000), and was awarded a fellowship from the La Caixa Foundation to pursue a Masters in Comparative Media Studies from MIT (2004). She is a PhD candidate in Digital Media from the Georgia Institute of Technology, and is writing her thesis while she is not doing work for GAMBIT, or playing games, or watching movies, or reading books. Hi, My name is Dickson Chua Shin Long, and my nickname is Nagi. You can just call me Nagi or Dickson, during my stay at the Summer Program. 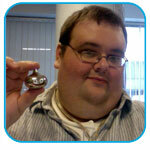 I will be a QA Lead tester and I hope to get along well with you all. I am a rising senior studying computer science at MIT. When I'm not working, I enjoy being part of the MIT swim team, playing various video and computer games (Smash, anyone? ), and listening to or making music. I worked on Symon for GAMBIT in the fall, and am really excited to be returning for the summer to take on something new. I'm not sure what I want to do after graduation, but I can't wait to explore the game design process some more! Faizan Abid is an undergraduate majoring in Mechanical Engineering with a minor in Computer Science. 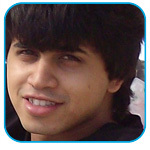 He believes that Mechanical Engineering is not only about the physical world but equally applies to the virtual world. He loves games with realistic physics but is not necessarily good at them. Intrigued by the idea of intensely realistic multiplayer games compatible with all platforms including phones and computers, he wishes to create some one day; anyone who would like to join is welcome. When he is not sleeping, you will find him watching movies, in the pool or randomly surfing the internet. 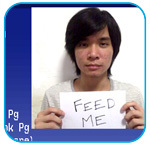 Currently a 3rd year student at Ngee Ann Polytechnic pursuing Multimedia Animation. A friendly and outgoing person, who tends to be loud and crazy at times. Enthusiastic in her work and play and will surely give all that she can in everything she does. Eating and Sleeping are some of the wonders in her life when its not work or play. I am a final year undergraduate from Nanyang Technological University, majoring in Digital Animation, and I also hope to eventually work for some of my dream companies in either the animation or gaming fields, like Lucasfilm or Insomniac Studios. During my free time, I like to do some really short animations just for fun, or go through the large backlog of games that's accumulated on my list of must-plays. I tend to take gaming as seriously as working, finding all the secret items and getting a 100% completion rate for some games I play. I was also, for the briefest amount of time, a WCG competitor for Guitar Hero. I also like taking long bus trips, simply because they just give me an excuse to take my Playstation Portable or Nintendo DS out. Garrett Beazley is a Film/Video senior at the Massachusetts College of Art. Pursuing an interest in video editing, Garrett joined the GAMBIT Game Lab in September 2009 as the video podcast editor and also spends most of his spare time either watching movies or playing video games. While his history of video making goes back to his high school days, Garrett has been playing video games for most of his life, leading to the difficult decision of whether to major in Film or 3D Animation. Garrett spent his first year of college at the Rochester Institute of Technology. 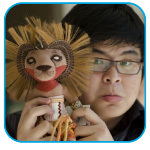 He applied for the Film/Animation major but ended up in New Media Interactive Development where he learned the depths of Photoshop, Illustrator, and Flash. After his first year, Garrett moved to Boston to continue his pursuit of film and gained a real talent for the Final Cut Studio editing software. Video editing became a hobby very quickly and he continued it as he studied at the School of the Museum of Fine Arts, followed by MassArt as of fall 2009. Not long after, Garrett joined the GAMBIT team and is thoroughly enjoying the combination of his two favorite hobbies in the workplace. Hannah Lawler is an illustrator and 3D artist studying at the Rhode Island School of Design. She is originally from the Boston area, hailing from the town of Wellesley. She comes from a long line of electrical engineers and computer programmers but decided to rebel by going to art school. She didn't get too far though, nowadays she works with computers about as much as her brother and her dad work with them. When she isn't working on 3D stuff, she is experimenting with printmaking and oil painting. In the rare case that she is not doing art, she enjoys hiking, reading, and of course, video games. Jason Beene is GAMBIT's Art Director, helping our team breathe life into the zeros and ones. 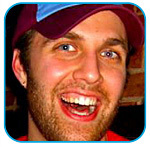 Previously, Jason served as Studio Art Director of an internal THQ development group. 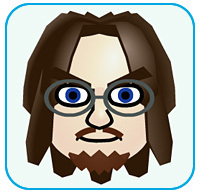 During those 7 years, Jason was instrumental in the production of numerous Nintendo handheld titles and had the opportunity to work with the likes of Pixar and Nickelodeon. His time at THQ was proudly spent doing everything from pixel pushing to managing/mentoring a talented art staff. Additionally, as an alumni of the Rhode Island School of Design illustration department, Jason aims to offer both industry insight and his own creative talents to help further the efforts of GAMBIT. His artblog can be found at http://jasonbeene.blogspot.com. Jason Begygraduated from Canisius College in 2005 with a Bachelor of Arts in English, and in 2008 earned a Master's degree in Professional Writing and Information Design from Northeastern University. 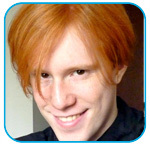 Continuing the process of avoiding a career, he then came to CMS as a graduate student where he wrote his master's thesis on the use of metaphor in game criticism and design. Current projects include ongoing research into casual games and modes of representation in games. He blogs about board game semiotics at gamebits.tumblr.com. I get to live with a cat? Sweet... 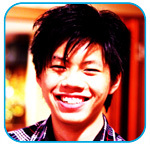 I am Jovi from Singapore. Currently studying at Nanyang Polytechnic under Digital Entertainment Technology (Games). As a kid, I was mostly cooped up in the house. My love for games escalated ever since my parents bought me a Game Boy. I am pretty sure it was the worst decision they ever made. I can go all ways... MMO, FPS, RTS, RPG, Casual, about anything floats my boat. Therefore, I am a jack of all trades and master of none. Games have pretty much brightened up my life. Therefore, I would like to continue designing and programming games in hopes of sharing that joy with everyone. Hi, I'm julian. Sometimes people call me joo. I, well, I like to draw and do random things like strolling around new places and taking photos of everyday objects. I don't bite, and I definitely am straight. Non- smoking, too. Hmm. Also, a fan of good food. Let's just talk when we meet, ja? Kevin Laughlin spent the better part of his childhood drawing and playing video games. Originally from a small, dusty town in south Texas, he moved to New England to study illustration and to pursue a career as an artist in the gaming industry. A linguistics major at MIT, I'm a huge fan of action/ adventure games, as well as all forms of media. 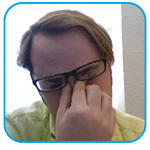 I'm looking forward to doing QA work for my team, as well as meeting all the other summer interns. When I'm not at work, I'll be catching up on a huge list of science fiction books, cheesy television shows, and video games from several genres. I am an avid gamer at heart, being interested in basically all types of games. Video games, board games, card games, I enjoy them all. I am also quite involved in the collectible card game Magic: the Gathering. My favourite types of video games are role-playing games and real-time strategy, but I enjoy a good multiplayer FPS session. While my passion for games is an important part of myself, an equally important aspect of my life is the ability to clone myself. Be prepared to see two of me during the Summer Program! 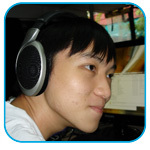 I am currently a fourth year undergraduate in the National University of Singapore, in the School of Computing's Specialization in Games stream. I'm a gamer at heart, and I'm interested in many types of games, like board games, card games and digital games. I don't only enjoy playing games, but I'm also interested in the design of these games, trying to figure out what makes different games fun or not fun. During my free time, if I'm not gaming, I also enjoy reading, watching movies and surfing the internet. Currently studying Information Systems Management in the Singapore Management University (SMU). I've been traveling around since I was born. I'm from Myanmar, born in Bangkok, elementary school in Geneva and Yangon, middle school in Jakarta, Indonesia and high school in New York and Yangon and now attending university in Singapore (and interning in Boston!). As for video games, my all-time favorite games include the Resident Evil series, the Devil May Cry series and God of War, among many others. Nowadays though, I play iPhone games much more than console games. I'm a movies and TV shows person. I love sci-fi/ fantasy TV series. My all-time favorite is Battlestar Galactica but I also love Lost, The 4400, Firefly and Fringe. I watch a lot of movies too. As for sports, I'm avid soccer fan (I watch Man United matches even if it's at 4am!). I could discuss and argue about the Premier League teams, players, results and referees all day! I also love roller skating and try to skate regularly once a week. Also, I used to play bastketball everyday in high school (although honestly, my high school basketball team was pretty terrible). I am a highly competitive individual that works well with everyone. I play keyboards and my piano hero is Chick Corea. 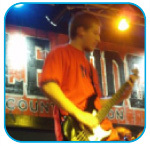 Mark Hadley is a composer and guitarist from Rochester, NY who graduated from Berklee College of Music with degrees in film scoring and guitar performance in 2011. He has had the privilege of studying with incredible musicians such as Mick Goodrick, Tim Miller, Rick Peckham, Hal Crook, Dave Santoro and David Gilmore in the performance division, and also has been very active within the film scoring department. In spring of 2009, Mark won grand prize in Berklee's annual film scoring contest for his original score the short film Michael's Rose. Outside of his composing projects for film, video games and other visual media, Mark also plays guitar as a sideman in several other bands around Boston, ranging from singer/songwriters to jazz to pop/rock. He also performs frequently as a studio musician, on all types of guitars as well as mandolin and electric bass. Mark Sullivan III is an undergraduate at MIT, class of 2010. 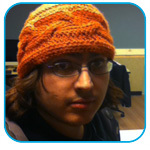 An obsession with videogames drove him to learn programming, so now he's returning the favor. When not gaming, he can often be found sleeping or eating. He's probably gaming, though. 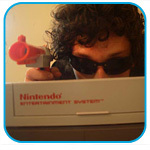 He's been a bit of a Nintendo fanboy his whole life, drawn to games such as Zelda and Metroid, but he'll play anything. Marleigh Norton is the prototyping manager for the Singapore-MIT GAMBIT Game Lab and a research manager for the Teacher Education Program's Outdoor Augmented Reality project at the Columbus Zoo. 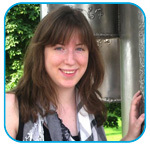 A recent addition to TEP, Marleigh brings years of design experience from both the commercial and academic sectors. 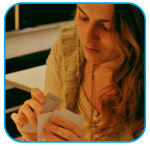 Her recent work as an interaction designer for the Waterford Research Institute aimed to teach reading, math, and science to young children through the use of educational games. She holds a master's degree in human-computer interaction from Georgia Tech, where she created an augmented reality 3-D puzzle game. New interaction paradigms are a major interest of hers, and past projects have included collaborative touch-screens for the NASA Ames Research Center and voice user interfaces for major telephone companies. Matthew Weise is split right down the middle into equal parts gamer and cinephile, having attended film school before seguing into game studies and then game development. Matt is the lead game designer for the Singapore-MIT GAMBIT Game Lab and a full-time gamer, which means he not only plays games on a variety of systems but he also completes (most of) them. When he's not playing games or getting obscure DVDs off eBay he's babbling on at length about games and movies to anyone who will listen. With a scholarly (aka nerdy) background in both film and games, his primary research interest lies in their transmedia relationship: in how they each can represent meaningful fictional universes differently. Matthew did his undergrad at the University of Wisconsin in Milwaukee, where he studied film production before going rogue to design his own degree. He graduated in 2001 with a degree in Digital Arts, which included videogames (this was before Game Studies was a field). He continued his videogame research at MIT's Comparative Media Studies program where he examined how videogame theory and criticism differs between communities. As a CMS grad student he also worked at The Education Arcade, most notably collaborating on Revolution, a small-scale simulation of colonial America. 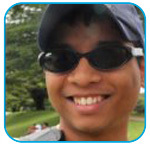 After leaving MIT in 2004 Matt worked in mobile game development for a few years, occassionally doing some consultancy work, before returning to CMS and MIT in 2007 to work at the newly created Singapore-MIT GAMBIT Game Lab. Mia Consalvo is Visiting Associate Professor in the Comparative Media Studies program for 2009-2010. 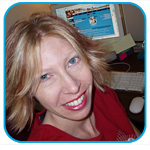 She is also Associate Professor at Ohio University in the School of Media Arts and Studies. She is currently serving as the Vice President of the Association of Internet researchers, to become President of the organization this October, and she is on the steering committee of Women in Games International. 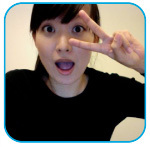 Her current research examines several topics, including the role of Japan in the formation of the videogame industry, the culture of casual games, and women's gameplay. Her work has been published in Cinema Journal, Critical Studies in Media Communication, and Games and Culture, among others. She is also the author of Cheating: Gaining Advantage in Videogames from MIT Press, and is co-editor of the forthcoming Blackwell Handbook of Internet Studies. Michael Hays recently graduated with honors from the Rhode Island School of Design, where he studied Illustration with a concentration in Philosophy and Psychology. His work and resume can be viewed at http://cargocollective.com/michaelhays. In addition to illustration and the fine arts, he has developed a keen interest in character design and game design (both digital and traditional). 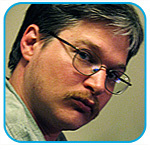 He has designed six finished board games, and has worked for Hasbro and the toy company Little Kids Inc. (as well as numerous freelance clients). His non-art passions include video games and music, especially heavy metal, which is a primary inspiration in much of his work. 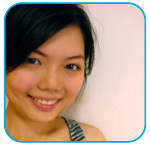 Michelle is a third year student at Ngee Ann Polytechnic, specializing as a Solutions Architect. She will be undertaking a role of Quality Assurance Lead during the GAMBIT summer programme, and hopes to meet many new friends there! Baking is one of her hobbies, together with reading and sports. However, engaging in those activites with family and friends make it even more enjoyable. 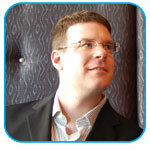 Marc Check is currently the Director of Information and Interactive Technology at the Museum of Science in Boston. He is passionate about museums and the use of technology in these spaces, and Marc has been working on both the interpretive and curatorial ends of technology for a number of years. His past roles include Associate Director for the International Center for the History of Electronic Games (ICHEG), Director of Technology for the National Museum of Play, and Director of Technology for the Rochester Museum and Science Center. 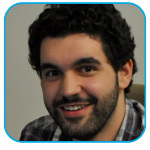 Marc holds a BS in Mathematics from the State University of Brockport in New York and a MS in Information Technology from the Rochester Institute of Technology, with a focus on Interactive Media. 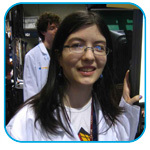 Naomi Hinchen just graduated from MIT, majoring in Computer Science with a minor in Theater Arts; making video games is one of the few areas that allows her to combine both. When not programming she enjoys writing thirty-day novels, cooking, acting, playing the harmonica, and making elaborate period costumes that she hardly ever gets to wear. However, she is often sidetracked from the above activities by the sweet, sweet siren call of the Internet. Oh, TV Tropes Wiki, why must you fascinate me so? 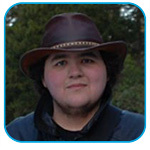 Adalberto "Nick" Garza writes: "I'm an ex-rancher, now 3rd year CMS undergrad who currently wants to work in educational games. My spare time activities include exploring the internet, video games, plotting out zombie survival scenarios, and cursing at Computer. I occasionally dabble in programming, only to swear after every project 'Never Again'." Hello, I'm Neko - please charge on ahead, I shall provide as much assistance as my MP allows!! 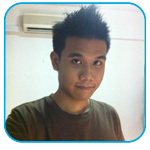 Nor Azman is an animator and filmmaker. He started out as a multimedia artist designing websites, graphic designing and creating short films before choosing to focus on the CG side of things. Despite that, and having been exposed to the myriad of different creative mediums, he does not limit himself to the CG world and is always looking at ways to implement what he has learnt from all these different mediums into a cohesive art project; be it a short film, a photo-journal web site or a physical installation. Music also plays a huge part in his work process and he likes to try out different visual and narrative styles in his personal projects. I'm a computer science student with an interest in technology and video games. Most of my time is spent reading random articles on Wikipedia, Ars Technica, or the Escapist. When I'm not on said websites, you'll find me listening to music from the 80s or watching old anime and movies. 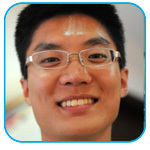 Patrick is an MIT'12 undergrad in Comparative Media Studies. He loves RPG/Adventure games, Interactive Fiction and Rock Band. When he's not playing or making games, he's probably off cooking Mexican food, experimenting with medium format photography, or making music. He plays several flavors of woodwind instruments, but has a soft spot for the oboe. 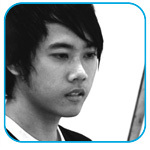 I'm Peter, student from Nanyang Academy of Fine Arts Singapore. Now attending Design and Media - Animation class. Interested in sci-fi and twisted plot movie, games, art, and music. Playing games since I was a child, from SEGA, SNES until now, playing latest PC games. Hello, my name is Phillip Mercer and Iâ€™m a rising senior at MIT. I study electrical engineering and computer science. I love sports and music and I play guitar when I have some free time. I Am 22 years old. Studies at School of Art, Design & Media as a Product Design Student. Part time student, full time PC gamer. Loves cars and FPS. If you love cars you are my besties! Hi guys, I'm just a small-town guy living in a lonely world...well, not exactly. I just finished studying at NUS, and now I've got my sights set on getting into game design. I started out as a mechanical engineer, but realized a bit too late that what I really wanted to do was make games, not machines. When I'm not playing games, I play bass and guitar for a couple of bands and I play sports/watch movies/chill at pubs/ do random stuff with my friends every chance I get. It's been tough trying to find people willing to see what I'm capable of, and I'm really thankful to the guys at GAMBIT for giving me that chance. Here's to an awesome summer at MIT, filled with cool games and great memories! Hi my name is Razil. I like to play games and soccer. 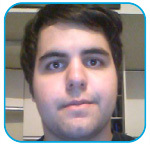 I am from a student from SAE taking my degree in Bachelor of Science Games Programming. My dream is to build my own game company and be rich. I am friendly (i think) and like to make friends so please come talk to me! If you are afraid to approach me, you can also find out more about me on my website! 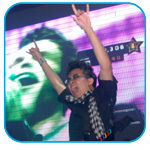 www.razilzul.com =) xoxoxo! 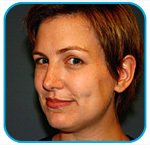 Renee Gillett currently works at the Museum of Science in Boston as an interactive developer. 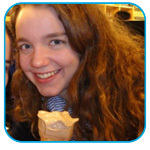 She holds a BS in Electronic Game and Interactive Development from Champlain College. She's eager to learn about, explore, and play with new interactive technology. When she's not exploring new technology, she's most likely playing and/or creating video games. As Studio Manager for the GAMBIT US Lab Rik Eberhardt's current duties include maintaining the ever growing array of servers, lab computers, websites, and databases generated by our research projects, procuring and distributing equipment, and providing hands-on support for CMS faculty, students, researchers, and staff. A 2002 graduate from the College of William & Mary in Williamsburg, VA, he received his Bachelor of Arts with a Literary & Cultural Studies concentration in Postmodern Literature, 'Cyberpunk' Science Fiction, and Contemporary Japanese Literature in Translation. 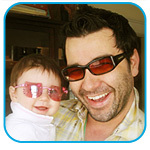 His previous professional experience was as a Desktop and Lab Systems Technician for Lesley University in Cambridge, MA. The ending to Shadow of the Colossus made him cry. Sara Verrilli has spent her professional career in the videogame industry, starting with the day she walked out of MIT's Course V graduate studies and into a position as QA Lead at Looking Glass Technologies for System Shock. However, her game organizing endeavors started much earlier; she helped found a role-playing club at her high school by disguising it as a bridge group. 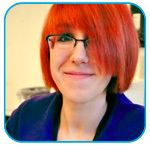 Since then, she's been a game designer, a product manager, a producer, and a QA manager, in no particular order. A veteran of both Looking Glass Technologies and Irrational Games, she's worked on eight major published games, and several more that never made it out the door. As Lead Producer at GAMBIT, she looks forward to corralling, encouraging, and exploring the creative chaos that goes into making great games, and figuring out just the right amount of order to inject into the process. And, while she still doesn't understand bridge, she does enjoy whist. Shawn Conrad is pursuing an M.Eng degree in Human Computer Interaction (HCI) at MIT. 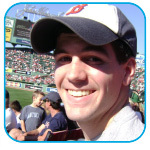 Originally from Peabody, Massachusetts, Shawn has lived in the Boston area most of his life. When he's not hacking away in front of his computer, he loves playing games either outside in the fresh air or inside huddled around a TV with a bunch of pals. 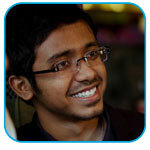 His goal is to work on educational games and software, which contributed to the geek he is today. 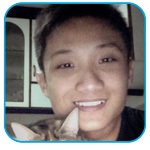 Currently a 3rd year student of Temasek Polytechnic pursuing Diploma in Game and Entertainment Technology. 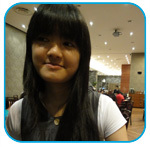 Sophia was born and grew up in Malaysia and stayed in Singapore for 3 years until now.Sophia loves listening to music and play games, especially RPG and RTS. 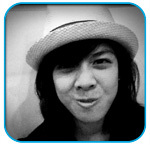 Sophia is a big fans of Japanese anime, CSI series and Japanese Drama. Stephanie Swanson is a recent Illustration graduate from Rhode Island School of Design. Her fascination with video games really blossomed when a friend lent her Final Fantasy VII in junior high. Life changing. Since then, Stephanie has always had a dream to work in the games industry, whether it's video games, board games, or card games. When she's not playing a multitude of games, she can be found studying typography and graphic design. Hello! My name is Steven Sugar and I'm an illustration major at RISD. I love comics and cartoons, and more recently became involved with game design. On the side of doing all that work I enjoy cooking and playing accordion. aksapaun Kittiakrastien (also secretly known as Now or Nora) is currently a rising sophomore at MIT, majoring in Computer Science and Comparative Media Studies. She was introduced to video gaming during the Game Boy Age, and has remained in love since. Her favorite genres are JRPGs and Tactical RPGs, but she can occasionally be found playing others. 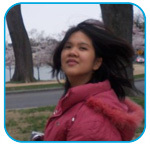 When not playing games, her hobbies range from reading and programming to digital painting and enjoying music. Had you asked Todd Harper at age 17 -- a music education major at the University of Wisconsin - Madison, 11 year euphonium and choir veteran -- if someday he would be a researcher at MIT studying games, there's a good chance he'd have laughed at such an absurd claim. Yet 15 years and one doctorate later, here he is, a postdoctoral researcher at GAMBIT. After getting his bachelor's degree in Radio/TV/Film at Madison in 2001, he worked in distance learning and web editing at Indiana State University before moving to his hometown of Syracuse for a masters in Media Studies at Syracuse University, and then to Ohio University for a recently-completed doctorate in Mass Communications. 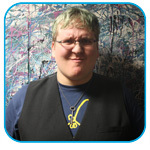 His research combines a focus on digital games with an interest in feminist and queer theory and popular culture. When he is not doing actual research on games, Todd spends a good deal of time playing them; his favorites tend to be over the top fighting games and RPGs that appeal to his campy sense of aesthetics. Inspired by the fighting game players he spoke to while working on his dissertation, his next goal is to travel to the EVO tournament in 2011, learn to use an arcade stick, and still get thoroughly destroyed in the first round of the tourney. You can follow him on Twitter or read his highly infrequently updated blog, Stay Classy. 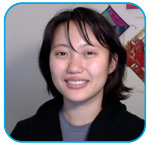 Tran is interested in programming, especially game development. 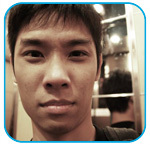 Even though he comes from software engineering background, he spends his spare time in game programming. 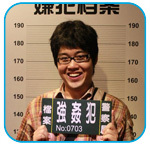 He is also a keen gamer who spends a lot of time playing game. 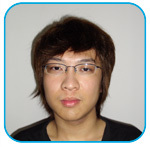 Other than playing computer game, he also plays soccer, his favorite position is midfielder. I'm an artist born in China, raised in New Jersey and Tennessee. Looking forward to working with some awesome people this summer. My own work is influenced by Michael Dudok de Wit, Yuri Norstein, and David O'Reilly. You can find me on xin-squared. com, where I work on commissions and freelance. I enjoy spicy food, ping pong, and dance. I'm from Korea and I'll graduate RISD coming June.